The beginning of the new trading week is bringing the stronger US dollar which seems to be a result of the Friday’s jobs release. Let us remind that it produced an astonishing value above 300k in January. At the same time, wage growth held healthy while the unemployment rate ticked up but this move was fully offset by an uptick in the labour force participation rate. Basically, the sole weak points was a huge revision concerning new jobs added in December. Nevertheless, readings exceeding 200k could be still seen as remarkably strong at this stage of economic recovery. On top of that, we also got manufacturing ISM which bounced back in the first month of the year. It needs to be said, that the breakdown of the release was a bit weird as the new orders component surged to 58.2 from 51.3 while new export orders dipped to 51.8 from 52.8. In addition to that, the prices component plummeted to 49.6 from 54.9 entering a contraction territory. By and large, the data released on Friday matched the latest Fed’s communique calling for “patience” despite the solid economy. In turn, over the weekend there was a reading of China’s services PMI. It came in at 53.6 in January, slightly lower than 53.9 in December, albeit the reading was well above the 50 points mark separating growth from contraction. 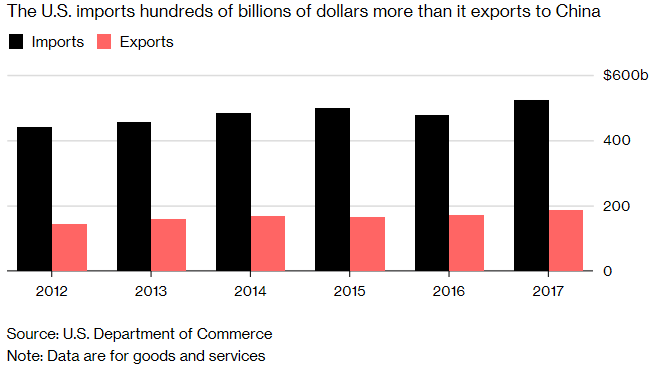 The detailed numbers showed new export business rising at the fastest clip in more than a year, and overall new orders also ticked higher. As a consequence, the US dollar index is rising 0.15% at the time of writing being up against all its G10 peers. On the stock market, the Japanese NIKKEI 225 (JAP225) closed 0.45% higher, while the Chinese stocks market is closed for the week due to the Lunar New Year. According to Foxconn Technology Group Chairman Terry Gou, the lingering trade negotiations between Washington and Beijing are likely to lead to an agreement soon, he said on Saturday when citing his conversation with Donald Trump he had a day earlier. He also added that he discussed this matter this the US President because of investments in the US. Let us recall that the two-day talks held in Washington last week between the US and China concluded with no a breakthrough. The official 90-day truce between the two feuding countries ends on March 1, and this is the deadline the two sides need to make a deal in order to avoid a further trade war escalation. Donald Trump said last week following the talks that China could face increased tariffs if no deal was reached by then.